Washington, The Evergreen State, is the 13th most populated and 18th largest state of United Nations. 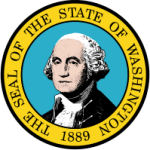 State of Washington was admitted to US union and sworn as 42nd US state on 11th November, 1889. Overall GSP of Washington is also ranked 14th on all states chart and the state offers high median and per capita incomes. Washington State does not imply income tax to residents. Economy of State is driven by diverse industries such as software development, aircraft designing, lumber and wood production as well as automotive designs. Even the agriculture industry of Washington is one of the highest revenue providers and major contributor in state’s overall development. What is Washington Board of Nursing and what are its major responsibilities? Washington Board of Nursing is more commonly known as Washington State Nursing Care Quality Commission (WSNCQC), but for reader’s convenience, I’ll use the word ‘Board’ as a synonym for WSNCQC. Each state of US is obligated to have a nursing board, which will be administering all nursing professionals in US state. Board is a state agency, which is responsible for licensing and certification of various nursing professionals including registered nurses as well as APRN in Wisconsin. The board is meant for public and provides various services and education programs. If you have any complaint regarding violation of any nursing law or misbehavior against any nursing professional, you can log on to board’s website and file an online complaint. Board will certainly act against the guilty nursing associate. The board keeps various records for public assistance, which are related to performance of nursing professional and facilities in Washington State. Who are the current Board Members of Washington State Nursing Care Quality Assurance Commission? Currently there are 14 commission members and 5 pro-members in Washington Board of Nursing. The working tenure is 4 years for each member and any member can be reappointed only for one consecutive session. Two Public Members are also appointed in the board.